The top 5 brands associated with both the World Cup and Premier League are gambling brands, and official sponsors miss out, according to new research. Ahead of Friday’s opening fixture between Manchester United and Leicester City, new research by 4C Insights highlights the success betting companies had in building close affinities with fans during the World Cup with the top five Premier League brands all from the gambling sector. The ‘Affinity Index’ illustrates how much more likely people who engaged with the World Cup and Premier League on social media are to engage with each brand compared to the average population (i.e. compared to non-engagers of either tournaments). o	The brand’s recent 2018 Pride campaign, “There’s no gay in game”, saw 5,000 limited edition ‘Paddy Power pants’ fired into the crowds, contributing to a surge in engagement around the start of the 2018/19 season. Furthermore Leicester City (78%) are slightly ahead in terms sentiment on social media compared to Manchester United (75%) indicating social noise is more positive for the midlands team. 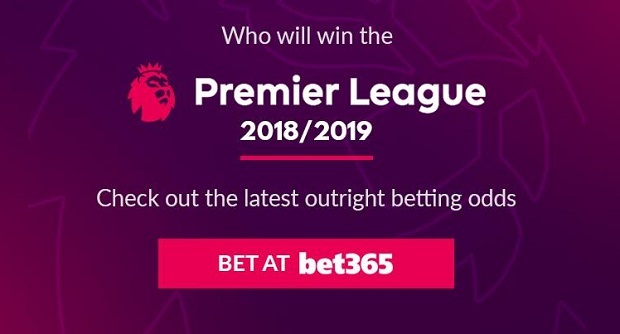 According to the findings, four of the top five brands with the strongest World Cup affinities, Bet 365, Sky Bet, Coral and Ladbrokes, have managed to keep their places in the top 5 rankings for the Premier League ahead of the season kicking-off later this week. The Affinity Index measures how much more likely people who engaged with the World Cup and Premier League on social media are to engage with each brand compared to the average population. Paddy Power swoops in with a rising affinity over the course of the summer and is now second in the Premier League ranking. The brand’s recent 2018 Pride campaign, “There’s no gay in game”, saw 5,000 limited edition ‘Paddy Power pants’ fired into the crowds, contributing to a surge in engagement around the start of the 2018/19 season. While Paddy Power doesn’t appear in the top five for the World Cup, TV ad spots from Betfair, Coral and Paddy Power (measured by the number of social media engagements that were positive and not negative) from 14th June to 25th June achieved an average sentiment score of 71% from nearly 250,000 engagements. Another notable trend heading into the Premier League is the social media sentiment for teams with key players in the England team. Tottenham, with their star striker Harry Kane, have enjoyed an average sentiment score over the past two months of 79%, placing the club 2% ahead of Manchester City, the incumbent champions. Another team to level with Tottenham with a sentiment score of 79% is Liverpool, England midfielder Jordan Henderson’s club. Liverpool managed to reach the final of the Champion’s League this summer and will no doubt provide brands with plenty of opportunity the engage enthusiastic fans throughout the next season. 1. Engagement: Mentions, retweets, comments and posts likes from Facebook pages and Twitter handles. 2. Sentiment: Percent of social media interactions that were positive and not negative. 3. Affinity Index: (baseline 100) answers the question: Among people who engaged with the World Cup and Premier League on social media, how much more likely they are to engage with each entity compared to the average population who engaged with either tournament in 2018.